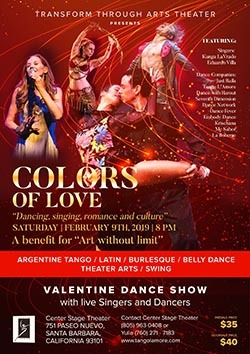 Colors of Love is a Valentine Dance Show that features professional dancers and singers, together they blend their unique talents into powerful expression of various aspects of love. You will experience mystery, vivacious energy, tender sensuality, exquisite beauty, infectious passion, being evoked and transformed into a new sense of aliveness. Indulge your senses, heart and ears with delicious magic of dance and live music in a style of contemporary soulful love songs sung by fabulous Kanga LaVrado. Featured musicians of this year are pianist Forrest Leichtberg and George Friendenthal. 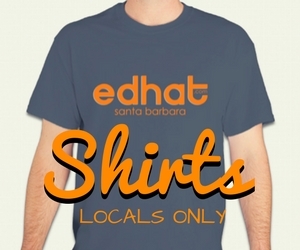 Also show is a benefit for non profit Arts without limits. TIMES: Saturday, February 9 at 8:00 P.M.